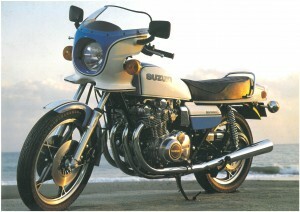 Suzuki’s GS1000S is the latest model to be added to the firm’s popular Vintage Parts programme, with nearly 1,000 parts still available for the iconic machine. 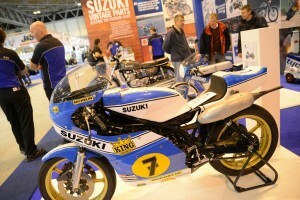 Oliver’s Mount race circuit and Suzuki GB has announced an agreement that will see Suzuki backing this year’s Barry Sheene Festival at the iconic motorsport venue. 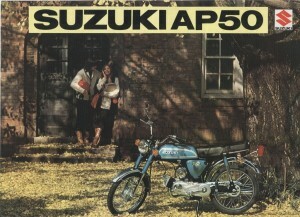 Suzuki has announced the addition of the sought after AP50 to its popular and ever-growing Vintage Parts Programme, with the iconic 49cc rotary-valved two-stroke joining the RGV250, GT750, the original GSX-R750, and the GT250 X7. 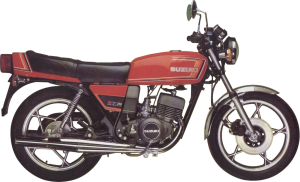 Suzuki GB has announced another new addition to the hugely popular Vintage Parts Programme, with the iconic GT250 X7 following the recent inclusion of the original GSX-R750 ‘Slabby’. 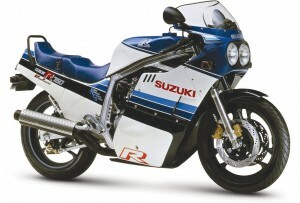 Suzuki GB has announced the inclusion of the original GSX-R750 as part of its Vintage Parts Programme, with over 1,300 parts still available for the iconic race-replica. Suzuki has announced the addition of the iconic GT750 ‘Kettle’ to it’s popular Vintage Parts programme, with more than 1100 Genuine parts still available for the sought after two-stroke. 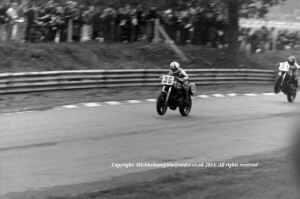 The meeting was the Gauloises Powerbike International 27/28 October 1979 run on the Brands Hatch GP circuit. 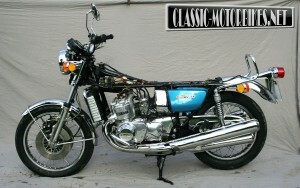 Rumours of a Suzuki two stroke triple began to circulate during 1968, with the T500 already taking the world by storm it seemed only natural that and extra cylinder would increase performance considerably giving the company a tool to take on Honda and Kawasaki. 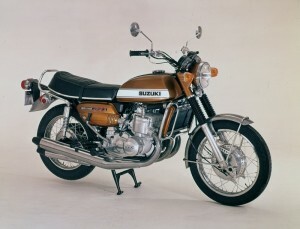 Suzuki had a prototype, The GT750R on view at the 1970 Tokyo Motorcycle Show and launched the GT750 in 1971. 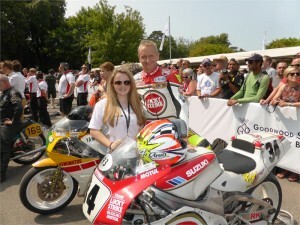 World 500cc Motorcycle Grand Prix Champion Kevin Schwantz was re-united with his 1993 World Championship-winning Suzuki RGV500 at the prestigious Goodwood Festival of Speed in West Sussex in the UK today.